Teknion Corporation has announced that two of its new workplace products – the upStage desking system, Sabrina task chair and Textured Edge collection from Teknion Textiles – have been awarded 2016 Green Good Design Awards. The annual competition is sponsored by The European Centre for Architecture Art Design and Urban Studies, and The Chicago Athenaeum: Museum of Architecture and Design. upStage is based on a simple platform or stage that frees users from the constraints of a benching frame or panel, allowing them to build along horizontal or vertical planes to create layered worksurfaces and multi-story volumes. The innovative structural staging unit integrates a full complement of desks, height-adjustable tables, cabinets, shelves, cubbies and screens. upStage was created by Teknion’s in-house design team. Sabrina was inspired by Giugiaro Design’s philosophy based on the structure of the human body, and symbolizes the infinite interconnection of comfort and design. 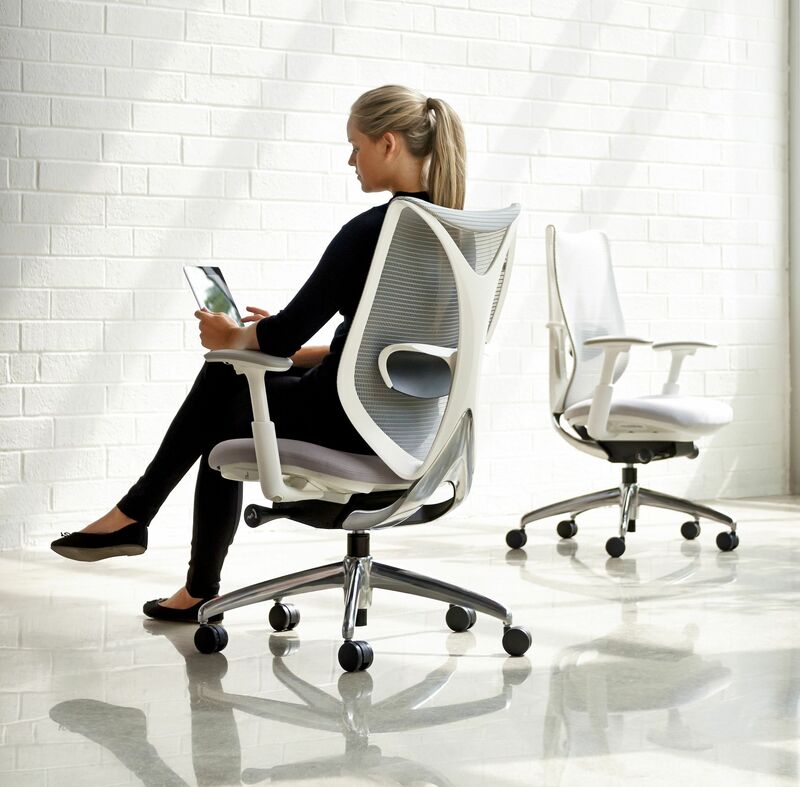 It features an innovative inner ring structure, organic frame design and mesh backrest. The iconic inner ring provides support and backwards bending while the outer frame allows torsional flexing. 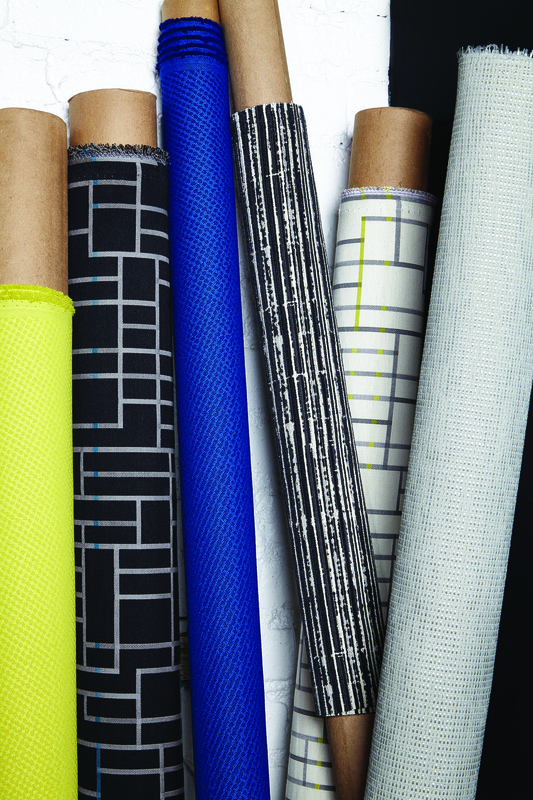 Textured Edge is a collection of upholstery, panel and wall fabrics designed by Suzanne Tick, Creative Director, Teknion Textiles. The collection highlights elements of artistic production in two larger-scale graphic upholsteries, and five wall and panel fabrics that explore texture in all its forms.